There’s no doubt that CAT skiing offers great value to riders looking for a new riding experience. It offers easy access to untracked powder, without hiking and without the risks normally presented by back-country skiing. It’s perhaps these qualities that have earnt it the tag ‘poor man’s heli-skiing’. On a recent visit to Hokkaido (February 2017), we were lucky enough to give CAT skiing a try courtesy of Niseko Weiss Powder CATs. Niseko Weiss Powder CATs is an experienced adventure company operating out of the Hanazono Ski Area, in greater Niseko United. Although a lean season by Niseko United standards (they’d only received a lazy 8m of snow instead of 12m), the powder CATs adventure was an unforgettable experience and a great alternative to the hustle and bustle of the main Niseko skiing area, located just a few minutes away. Guest reporter, Di McLean from Perth, Western Australia recently traveled through the beautiful Hokkaido mountains, with hubby and two children aged 4 and 6. Here she writes about her experience. My hubby, Steve, and I hadn’t snowboarded for nine years and we were itching to hit the slopes in Japan and introduce our girls aged 4 and 6 to snow for the first time. We decided to visit Hokkaido (the northern Island of) Japan, in late January. 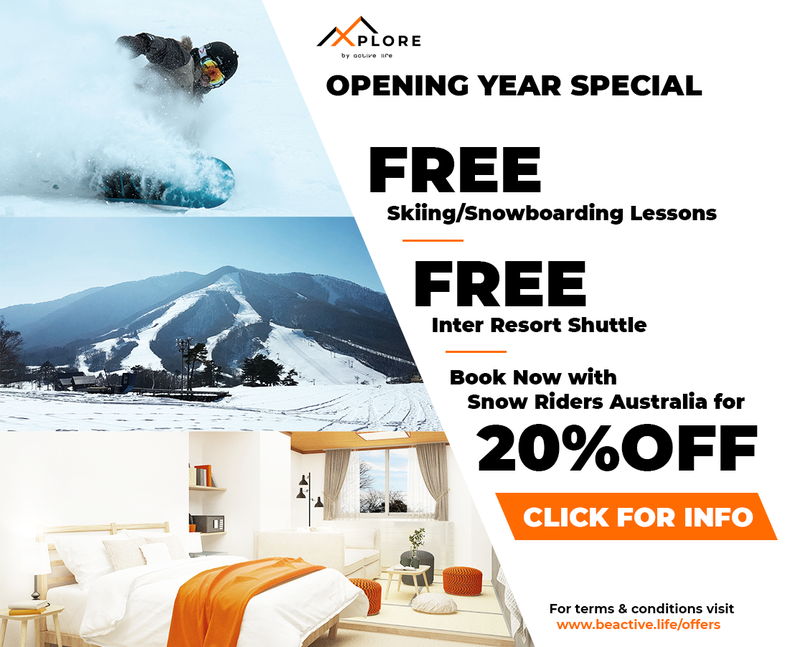 The timing coincided with the Western Australian school holidays and the period of reliable snow fall. Our schedule included 7 nights in Niseko, 3 in Sapporo and 4 in Furano. Our checked baggage included three large suitcases, one snowboard bag (which took both our boards and boots) and a couple of toboggans that we strapped together. These as we found out later doubled as sleds for dragging the kids around when they were too tired to walk! Our carry on was filled to the brim with bulky jackets, beanies and gloves plus changes of clothes for the kids. In case of accidents. To get from Perth to Niseko took approximately 20 hours (airport to welcome centre). The kids were very excited on the way over and didn’t sleep well, so were ratty (irritable) for a good portion of the travel time. Our four year old also likes to be carried. A lot. If I’m honest, there were some very challenging times! The journey home was much smoother when they knew what they were in for. The last time we were in Niseko was in January 2008. Since then, both my husband and I couldn’t believe how much it had changed. It is much more developed, much more westernised, busier and more expensive. But still awesome. We stayed in a 2 bedroom apartment in lower Hirafu, a five minute walk (15 mins with kids) from the main intersection. We were fortunate enough to have both my sisters (best Aunties ever) along for the Niseko part of the trip which reduced accommodation costs and helped immensely with the kids. There are so many bars, restaurants, shops etc. that it was impossible to visit them all. We were advised to book restaurants in advance, which we did, but still could not get in to several despite asking a full month prior. Its that busy in Niseko during peak periods. Once in Niseko, however, we found that because we were generally eating at 6 pm, we could get into most restaurants. Seicomart on the main road was a good source of snacks, cheap meals, alcohol and the basics for cooking breakfast in our apartment. We stayed 3 nights in a Hotel in Susukino but in hindsight would have only stayed 2 as this was ample time to explore the main shopping arcades and fish market. The kids loved the pet shop and the amusement arcades best. We also took the kids to Nakajima Park which is very scenic and you can rent nordic skis for free and use them to scoot around the park. Our last 4 nights were spent in Furano – an easy 2 ¼ hour train ride north from Sapporo. We really loved it there. We stayed in a Pension on a hill overlooking a vineyard just out of town where the owners cooked us amazing breakfasts and dinners and drove us to and from the slopes each day. Furano was very different to Niseko, for two primary reasons: (1) it was next level cold and (2) it has a quiet, local feel. We woke to -29 degrees on our first morning (-35 on the mountain) but generally it was between -10 to -15. There were therefore no drying rooms (as things don’t get wet) and no icy patches on the slopes as it’s too cold for the snow to melt, rather it just gets shifted around and then groomed. While the snow was amazing, on the coldest of days the kids couldn’t handle more than 1 ½ hours on the mountain at a time before they were too cold, usually on their faces. The mountain is smaller than Niseko, with two main sides, the Furano Zone and the Kitanomine Zone. There were good off-piste areas but being our first time here, we didn’t have time to sufficiently explore them. There were no crowds and there is a ‘local’ feel to the mountain. The kids especially loved it in Furano with a huge range of beginner and intermediate, very scenic, long runs. Note that they do not offer group ski lessons for children under 6. The New Prince Hotel is at the base of the Furano Zone which has toilets, ski schools and ski hire gear on its ground floor. Beside the hotel there is a bakery and a forest area within which there are a scattering of 15 wooden cottages each selling beautiful and unique homemade crafts. Next to this area there was a kid wonderland area. Open from 4 pm there was tubing and husky sleds, igloos, ice sculptures all lit with fairy lights. We will definitely be returning to Furano and hoping that it has not changed too much before we do. 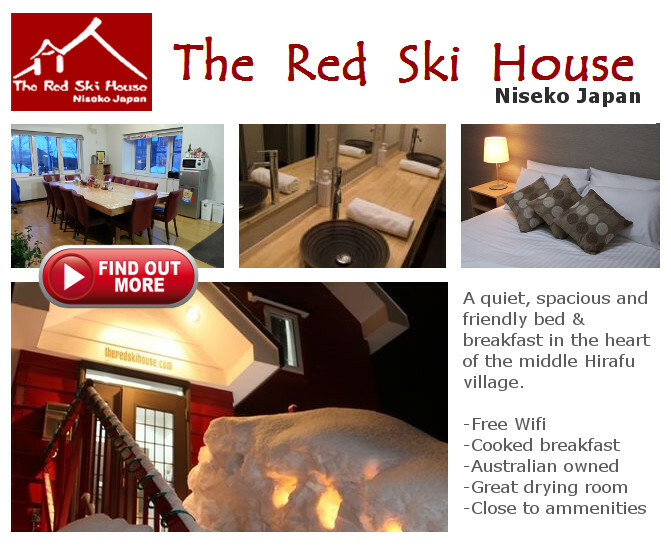 Niseko is located approximately 100 km south of Sapporo, a city of some 2 million people on the Island of Hokkaido. For a long time, Niseko has been the Japanese skiing destination of choice for Australians. Once making up close to 70% of Niseko’s clientele, it may surprise some to learn that the proportion of Australians is now closer to 35% given the now large seasonal influx of people from Europe (8%), North America (3%) and Asia (26%) (mainly Hong Kong, but increasingly Thailand! ); Aussies still predominate however, and its difficult to go anywhere without hearing that familiar Aussie drawl… Want to read more? Click here!